She has been invited to participate in numerous prestigious artist-in-residency programs, a few of which include the Archie Bray Foundation, The International Ceramic Research Center in Denmark and The Clay Studio in Philadelphia where she awarded the 2008-2009 Evelyn Shapiro Foundation Fellowship. She produces highly designed functional tableware in her Philadelphia home studio. As well as her thriving practice, Hanazono teaches a variety of ceramics classes in New York City and in the Philadelphia region. I create pots that serve not only as a vehicle for the presentation of food but that also transcends visual pleasure and stimulates the appetite. The work I make is a pedestal for food. My intention is to reinforce the act of eating as a vital component of everyday life, to enrich appreciation of the food and to enhance the ambiance of one’s space-one’s home environment. Neil Patterson has been making pots for thirty-nine years. Neil has a BFA from the Cleveland Institute of Art and an MFA from Louisiana State University. He was a core student at Penland for two years and spent a year studying Ceramics at the Cardiff Institute of Higher Education in Wales. He has been an artist in residence at The Clay Studio in Philadelphia and teaches part-time at a few local colleges. Together with his wife Sandi Pierantozzi he teaches at their studio in Philadelphia. Ryan received his Master of Fine Arts degree from SUNY College of Ceramics at Alfred University in 2004. He also received a Bachelor of Fine Arts degree as well as a Bachelor of Science degree from The University of Wisconsin-Stout in 2002. He has participated in numerous national juried exhibitions and invitational shows since 2000. His work is represented in many galleries throughout the country. Ryan currently is a practicing studio potter and Lecturer at the University of Pennsylvania. 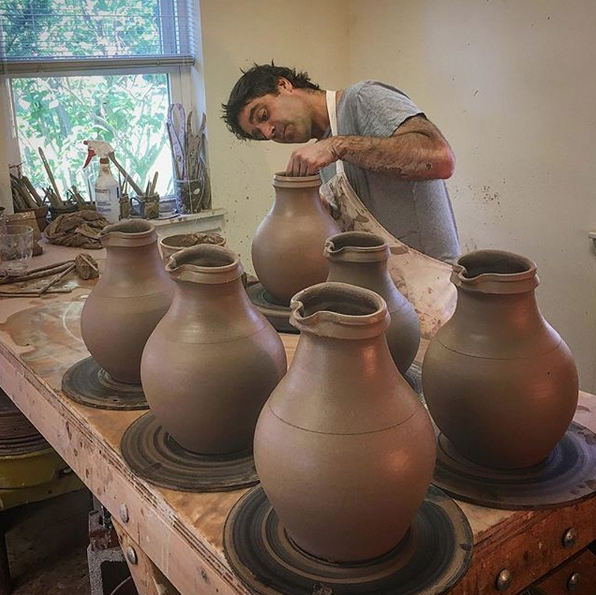 Michael Connelly is a potter in Phoenixville, Pennsylvania, as well as Assistant Professor at Montgomery County Community College in Blue Bell, Pennsylvania. In 2010, he founded the Bailey Street Arts Corridor in the Brewerytown neighborhood of Philadelphia. He received his B.F.A and M.F.A from Alfred University in Alfred, New York. Connelly has taught and presented lectures and workshops at various venues nationally and internationally, including classes at Alfred University, Haystack School for Crafts, Alberta College of Art and Design, Archie Bray Foundation and Penland School of Crafts. 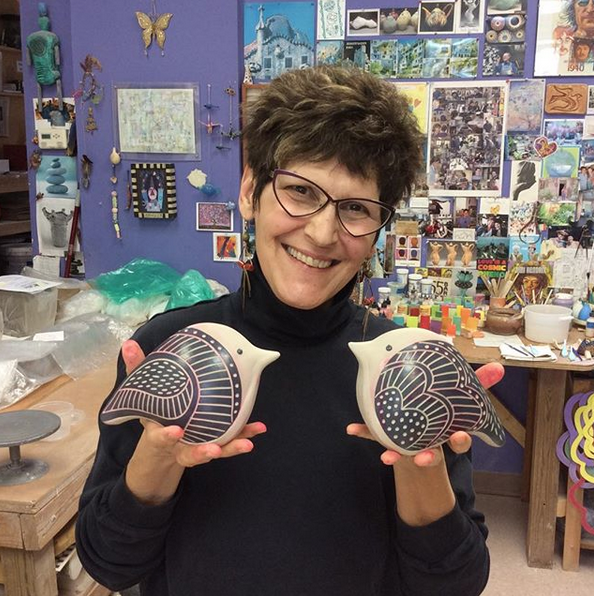 Roberta Massuch lives and works in Philadelphia, PA— where she is a Resident Artist at The Clay Studio, studio technician and instructor at The Community College of Philadelphia. She received her BFA from Northern Illinois University in 2005 and her MFA from Louisiana State University in May 2013.